I am a well-rounded Natural Gas Compressor Technician with more than 16 years of experience in a self guided/driven construction environment. I have excellent interpersonal and communication skills. My proven track record of achieving exceptional results in managing, overhauling, maintaining, and rebuilding compressors is what I am known for and enjoy. In previous positions I was responsible for guiding large road work and underground utilities type projects. That is what sets me apart from my peers. 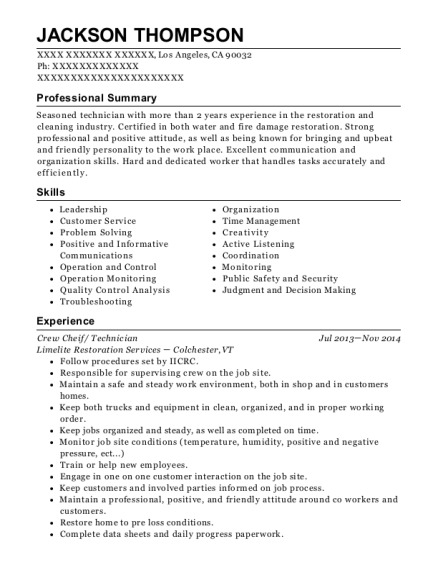 I am a dedicated, hardworking, and hands-on individual with a true depth of knowledge in the construction industry. 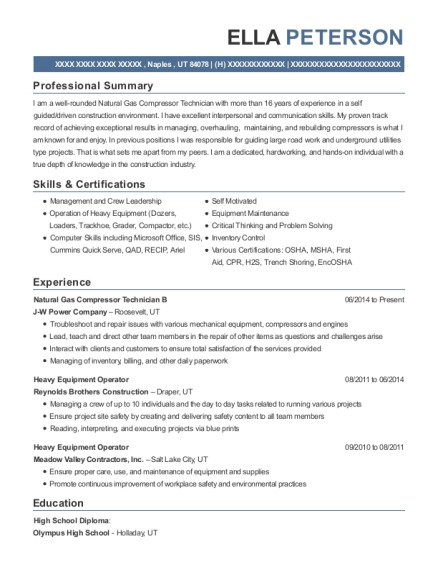 This is a resume for a Natural Gas Compressor Technician B in Naples, Utah with experience working for such companies as J W Power Company and Reynolds Brothers Construction. 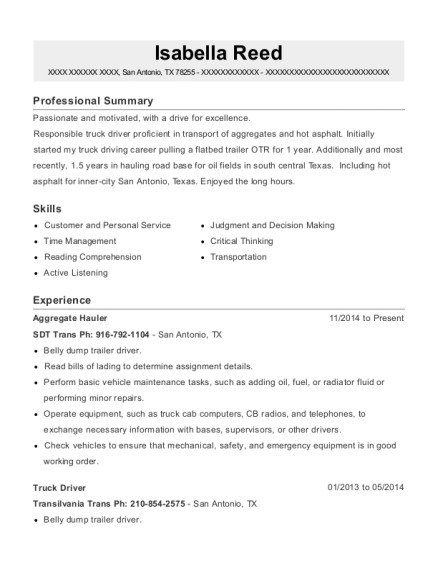 The grade for this resume is 0 and is one of hundreds of Natural Gas Compressor Technician B resumes available on our site for free. 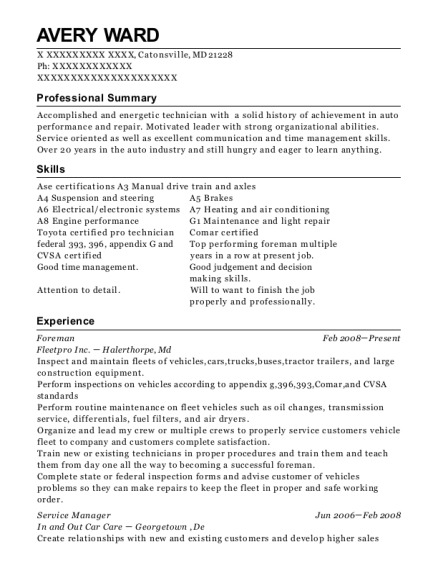 Use these resumes as templates to get help creating the best Natural Gas Compressor Technician B resume.